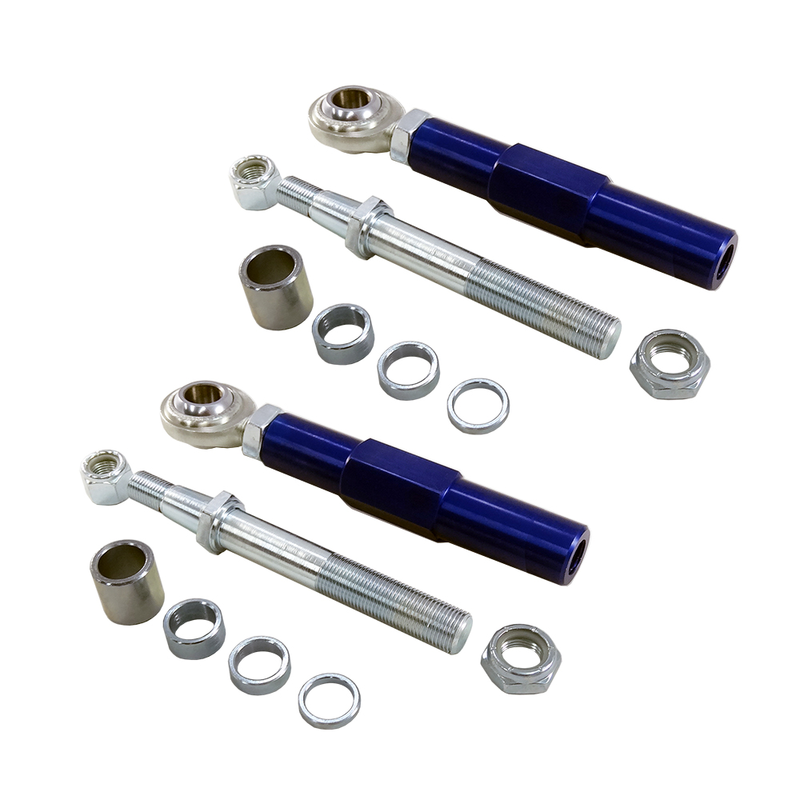 UPR's New Extreme Series Bump steer kit for your 79-93 Ford Mustang with Power Steering offers the widest range of adjustment and twice the strength of any other kits available, made from High Strength 7075 Aircraft aluminum and 4140 Chrome Moly Steel. UPR's New bump steer kit will eliminate all your bump steer headaches. The UPR PRODUCTS extreme bump steer kits were engineered to give you the quickest and best installation, without the hassle of drilling the spindle. Highly Recommended for all Mustangs that are using the bump steer kit: Lowering springs, Caster camber plate kit, Offset rack bushings. Machined from 7075 Billet Aluminum and featuring custom tapered 4140 Chrome Moly Steel shafts for a simple and hassle free installation. No drilling required. 1979 1980 1981 1982 1983 1984 1985 1986 1987 1988 1989 1990 1991 1992 1993 GT V8 Mustang Steeda Roush & Saleen Vehicles. No one else can stack up to the bold clean styling of our aftermarket Billet dress ups, Street Strip & Racing Suspension & Performance Parts for your late model American Muscle Car!